The first time I entered FMS, I was apprehensive about being dwarfed in the sea of talent and dreams that this institution embodies. However, since the moment I entered, I met only polite, soft-spoken, humble people who were there to help me in any capacity they can whether it be the receptionist, the faculty, the support staff or even the canteen staff. FMS has this tradition of engulfing every member into its close – knit family. When the honourable Dean described how her day begins with chanting the FMS prayer along with the gardener, I realised that it is this humility and warmth which makes my campus unique. 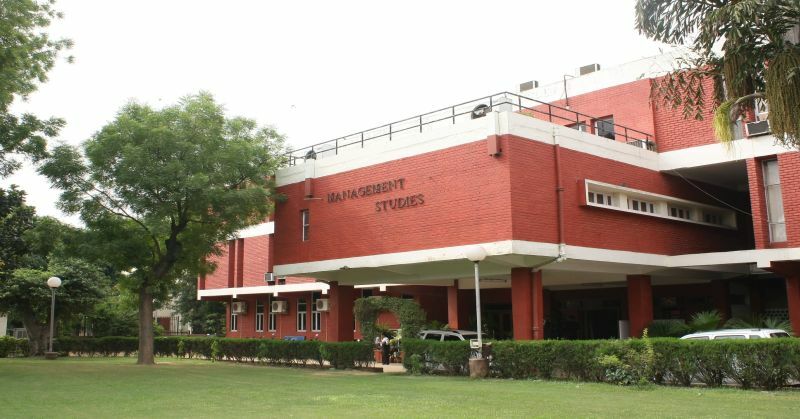 Usually classroom sessions are full of academic activities and discussions but FMS being the unique campus it is has had certain unique experiences to provide. We ( students) were acquainted with the faculty on our orientation and Professor M.L.Singla was introduced as one of the senior-most faculty. I was expecting a barrage of valuable information and interactive discussions. These expectations were met eventually but what I had not expected was a humble man who would begin his lectures by asking how we were and if there was something which was ailing us? Irrespective of what our issue for the day is, sir always makes an effort to cheer us up and makes us see the larger picture by sharing with us his wisdom just like our parents do. This constitutes my most memorable experience in the classroom when I also realise the worth of the FMS family I have become a part of. Sweenal – She is a young woman, an engineer to boot and a good singer but would keep refusing to sing in front of an audience whenever asked. However, during a penalty task where we had to showcase any of our talents to be relieved of it, she volunteered to sing solo without any apprehension and then I realized that all kind of fears perhaps vanishes in face of getting extra work. Aswin – He is a fearless man who take everything in stride and as a challenge. One of the craziest thing he did was to jump from one terrace to another equivalent to the third floor while trying to catch a kite. The distance between the two roofs was at least 4 feet. After he realised what he had done he was afraid of coming the same way back and rather used the stairs to exit the building he had jumped into to his own building. Prakhar – He is an adventurous man known for being active and lively in the batch. He once , despite being an amateur, scaled a wall used to practice for rock climbing without using any ropes or safety harness for protection. Anubha – She is a fun woman to be with and once prank called her senior from a different number to actually call him for a surprise birthday party. I would like to work with ‘Idea Cellular Ltd’ amidst the ABG group of companies. With the Idea – Vodafone merger and them capturing the largest market share by overthrowing Bharti Airtel, there is a huge scope for growth and development in this sector. The telecom industry is already witnessing a revolution with the entry of Jio and is up for progress or change in leaps and bounds. This combined with the increasing focus on digitisation and the wide market potential still untapped in this sector makes the telecom industry a lucrative one to be a part of.